With his track record, when Tom Petty releases an album, you pretty much know what you’re getting. You know you’ll get a solid rock and roll album with songs that tell good stories. Every once in awhile, Petty will exceed your expectations and release something outstanding. Oddly enough, they all seem to be the Petty solo albums. I wonder how the Heartbreakers feel about this! 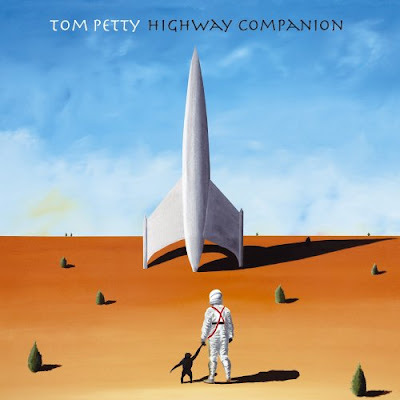 Like Full Moon Fever and Wildflowers before it, Highway Companion is one of Petty’s strongest albums. Stripped to the barest necessities, the songs speak volumes about the man behind them. While not a concept album, each song deals with a journey, whether internal or external. “Square One” drops the drums and keeps just a guitar and bass. It’s this simplistic approach that gives the song it’s power. The soft acoustic track deals with exactly what you’d expect: starting over. This time however, there seems to me a little more positivity. That’s a common thread throughout, perseverance. “Down South” talks about going home and creating your own identity. There’s always the opportunity to begin again. The opening “Saving Grace,” is the rockinest song on the disc. It’s Petty taking us into the lives of people we don’t know but easily could. He drops us off in the backyard of America and lets us see the dirty laundry and rose gardens. To say Petty is a gifted songwriter would be the understatement of the last 30 years. You can see everything he writes and easily visualize yourself in his position. He doesn’t have a position, instead, he chooses to just lay it out there for you to accept it for what it is. On Highway Companion, Petty can see the future and it’s bright. However, he hasn’t forgotten the darkness that proceeded it. This is easily one of the best albums of the year.